As one of two formats for high definition DVDs, HD DVD (short for High Definition Digital Versatile Disc) is a discontinued high-density optical disc format for storing data and playback of high-definition video. HD-DVD had implemented multi-layered discs, as well as employing VC1 compression technology, which allows for more content, without loss of quality on its smaller storage capacity disc. Therefore, we can enjoy better quality of video and sound in our home. Unfortunately, that advantage of HD DVD could not overcome growing support for Blu-ray. In the article, we will share with you what happened to HD DVD and why we have seldom found HD DVD player for sale in the market. What happened to HD DVD that made it disappear? How to rip Blu-ray using Leawo Blu-ray Ripper? 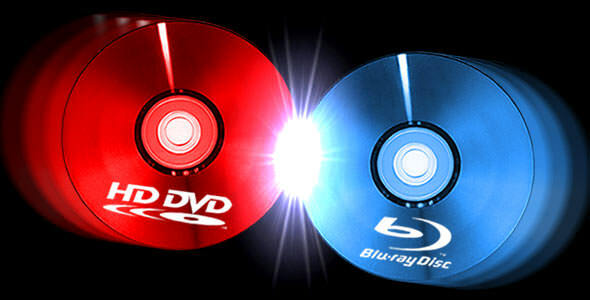 Up until 2008, the two competing formats, HD DVD and of Blu-ray were incompatible with each other. As we all know, a single-layer HD-DVD stores 15GB, and a dual-layer disc can hold up to 30GB. However, in comparison, Blu-Ray can hold 25GB on a single-layer, and 50GB on a dual-layer. As video games, TV series, and data back-up applications all benefit heavily from the extra room available on Blu-Ray. Undoubtedly, most big studios and electronics companies weren’t pleased with HD-DVD anyway. Warner Bros. withdrew supported Blu-ray in January of 2008, and retail and rental businesses dropped HD-DVD soon after. Without a wide variety of content available, consumers lost interest, and HD DVD sales tanked. But the tech world really knew HD-DVD was in trouble when Toshiba canceled all HD-DVD press conferences and events at the 2008 Consumer Electronics Show, and allowed Blu-Ray to take over the entire market. That is what happened to HD DVD and why we have seldom found HD DVD player for sale. After we have learned what happened to HD DVD, we know the final winner, Blu-ray is becoming more and more popular. With their high storage capacity, Blu-ray discs can hold and play back large quantities of high-definition video and audio, as well as photos, data and other digital content. Have you ever thought to have easily watched Blu-ray movies on any media player and mobile device, like Windows Media Player, QuickTime, iTunes, iPhone, iPad, Android smartphones and tablets, Surface and Xbox? Have you ever thought to edit Blu-ray in video editing software like Windows Movie Maker, or upload Blu-ray movie to YouTube or blog for sharing? If your answer is yes, then you need the Leawo Blu-ray Ripper. Leawo Blu-ray Ripper, as the best Blu-ray ripper software, could rip and convert Blu-ray to video and extract audio off Blu-ray to save in all formats for any media player and device. 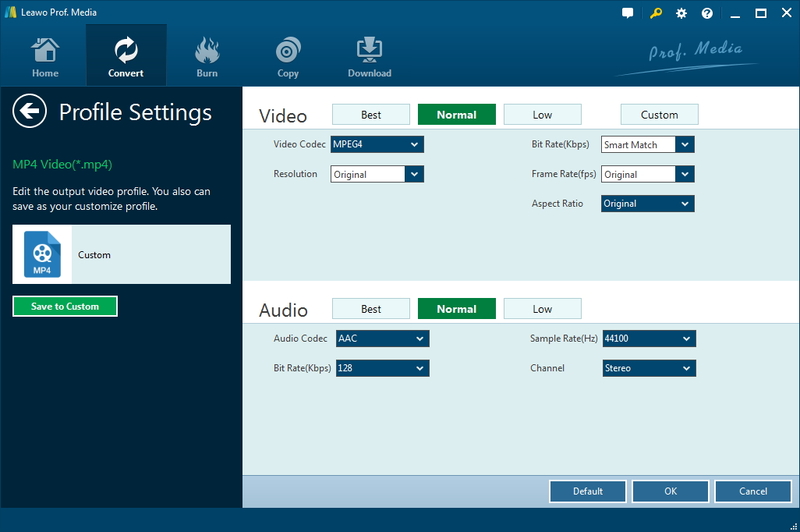 With Leawo Blu-ray Ripper, You can watch, share and save Blu-ray/DVD content in the way you like, for it could rip and convert Blu-ray/DVD to MP4, Blu-ray/DVD to MKV, Blu-ray/DVD to AVI, Blu-ray/DVD to WMV, etc., and extract audio off Blu-ray/DVD to save in MP3, AAC, FLAC, etc. More than 180 video and audio formats are supp. What’s more, this Blu-ray DVD ripper software could rip and convert Blu-ray/DVD to 4K video, 1080P video, 720P video and regular video so as to let you fully enjoy Blu-ray/DVD disc on 4K TV, 1080P displays, or mobile devices. After learning what happened to HD DVD, below is the five steps showing you how to rip Blu-ray using Leawo Blu-ray Ripper. 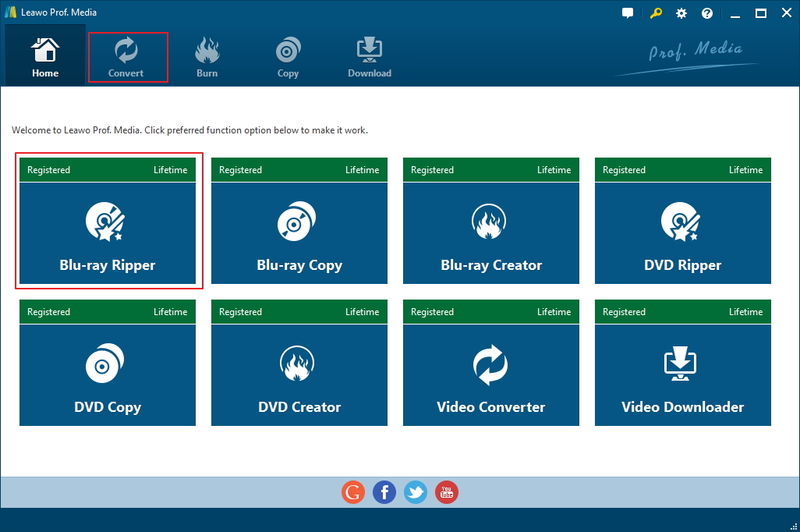 Kick off Leawo Blu-ray Ripper to enter the home page, where you need to click “Convert” button on the sub-menu to enter the converting interface. Step 1: Directly drag and drop source Blu-ray/DVD files into the converting panel. Step 2: Select one mode from the 3 provided modes to choose different videos in the disc to rip. Full Movie enables you to rip the whole disc. Main Movie only includes the main movie. Custom Mode is used for manual selection of the videos you want to rip. Step 3: In a drop-down box named “MP4 Video”, click it to pop up a small panel, where you are able to click “Change” to enter the “Profile” panel. There are various video/audio formats and device models available for selection, like 4K MP4, 4K MKV, HD MP4, HD AVI, MOV, iPhone 6s, iPad Air, etc. I would suggest that you convert Blu-ray to MP4 so that you can play the movie on your mobile handsets. 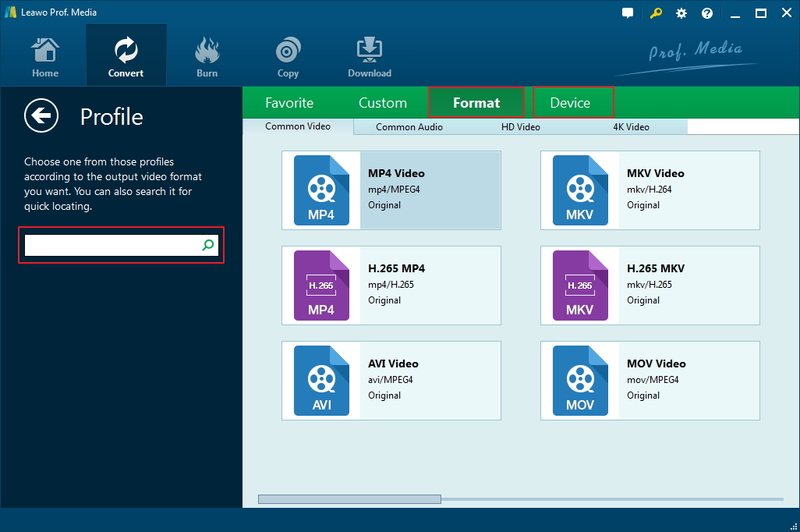 Step 4: You could enter the Profile Settings panel by clicking “MP4 Video” and then clicking “Edit” option instead of “Change” option to change the video and audio parameters of selected profile like Video Codec, Bit Rate, Resolution, Frame Rate, Aspect Ratio, Audio Codec, Channel, Sample Rate, etc. Step 5: After profile settings, get back to the converting panel, on which you can click the green “Convert” option to set output directory for saving the output files. Step 6: After setting, click the “Convert” option at the bottom of sidebar to start conversion process. If you like, you can click “Cancel” option to call off the process during the conversion process. Nowadays, Blu-ray Disc players are widely available worldwide, while fewer and fewer new HD DVD discs for sale in the market, used or unsold HD-DVD units may still be available via their parties (such as eBay).